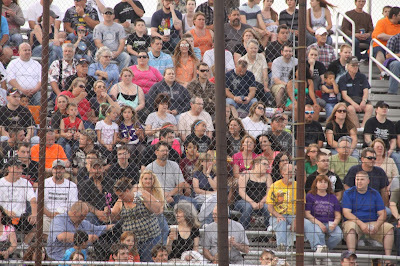 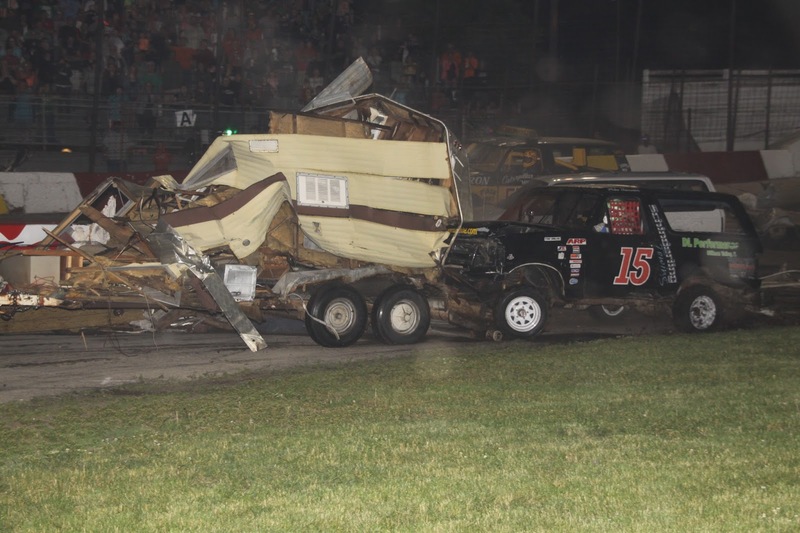 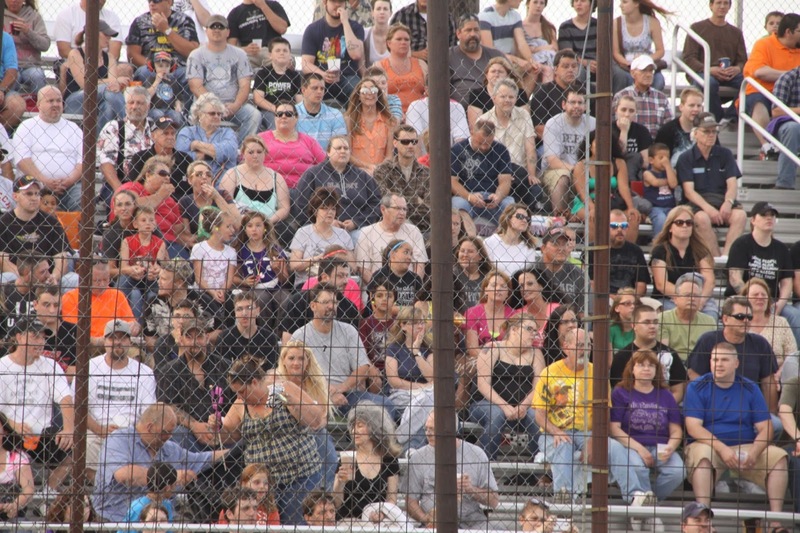 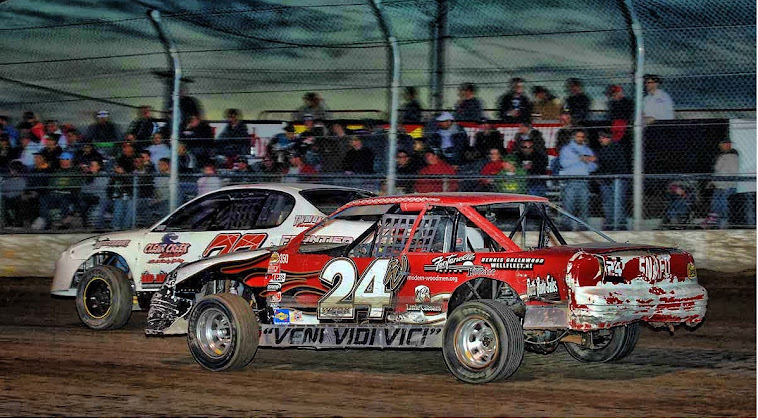 Fans in the stands saw an exciting night of racing and the Trailer Race which fielded some 24 entries. Adam Cartwright, Belvidere, Illinois # 42 in victory lane with track official for the RoadRunner Challenge. 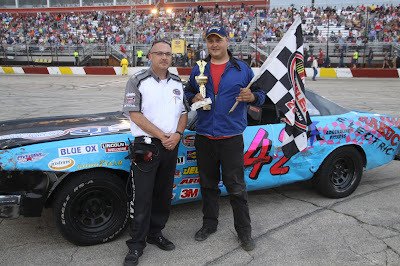 Adam received an extra $50 bill from the sponsor of the event Sam's Drive-In. 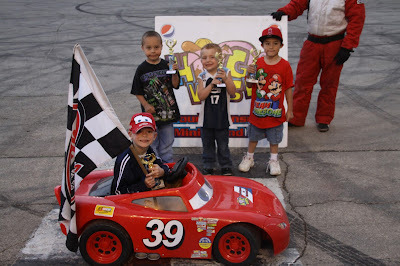 Winners of the Hog Wash Mini Grand Prix hold up their feature trophy. Five-time track champion George Sparkman # 5 Loves Park returned to victory lane by having an outstanding run to win in the 25-lap main event for the Miller Lite American Short Tracker division. 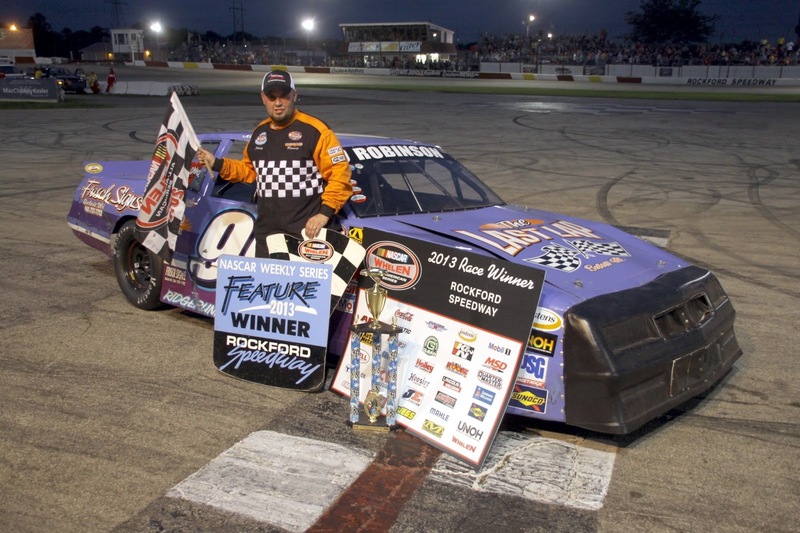 Johnny Robinson II # 99 Beloit, Wis, finally got a little good luck to fall his way, capitalizing on a front row starting spot while taking his first win of the year in the Bargain Hunter Sportsman division. 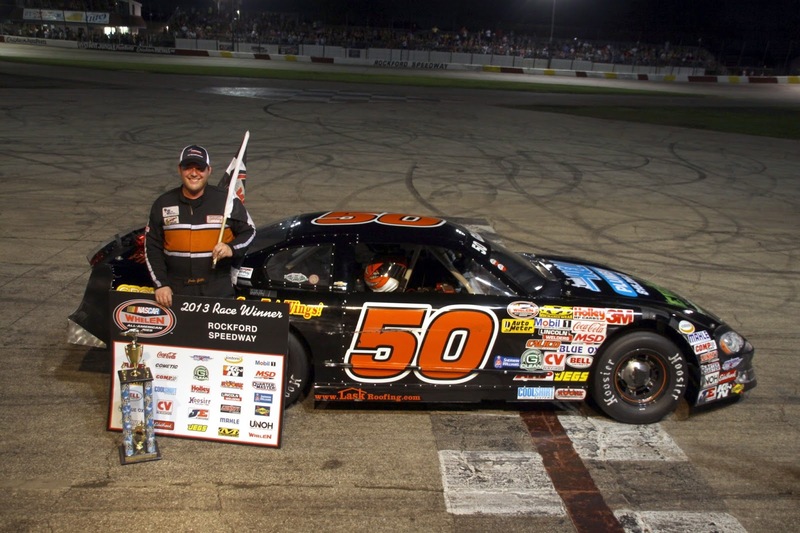 Jake Gille # 50 Machesney Park, Illinois, show the packed house he can race with the best of them as he posted a strong finish to win the main event for the NASCAR Stanley Steemer 30-lap feature. 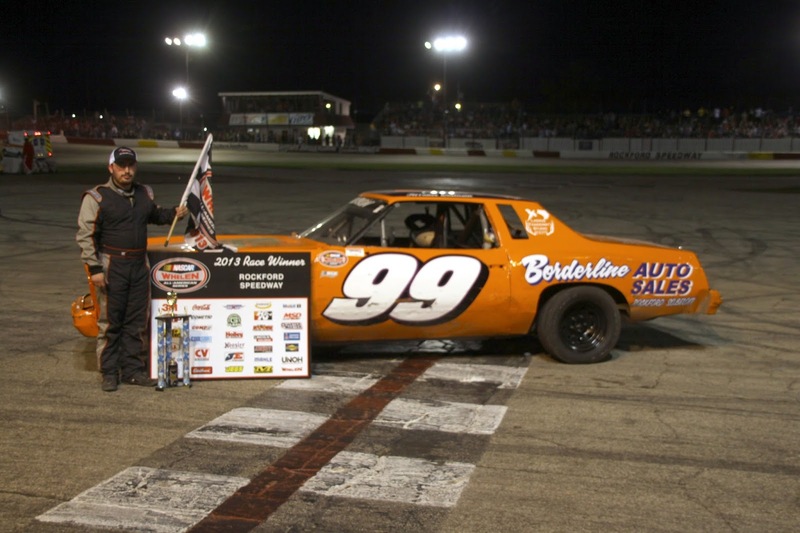 Terrance Robinson, Beloit, Wis; # 99 wins the RockStar Energy Drink RoadRunner 20-lap feature. Action was fast and furious during the Original Trailer Race of Destruction. 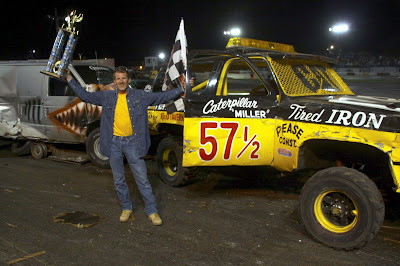 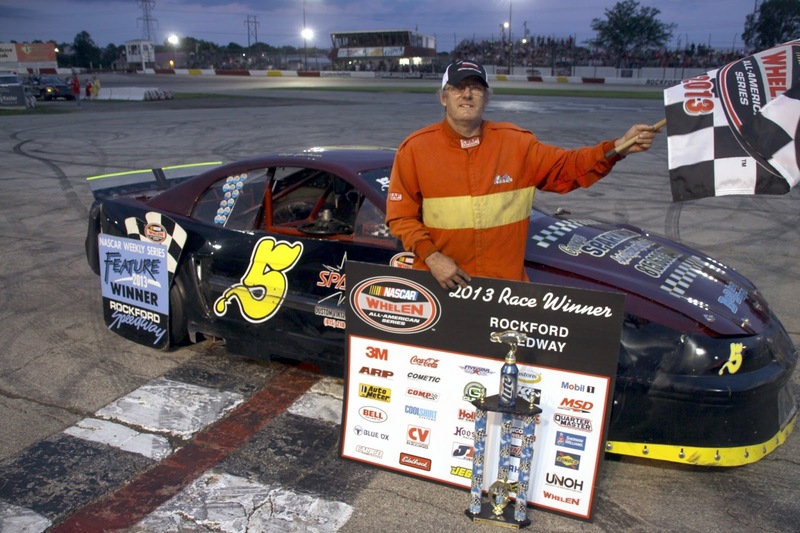 Winning his tenth Trailer Race (not all at Rockford Speedway) is Chris "Caterpillar" Miller who received the approval from fans as he topped 24 other competitors in the Original Trailer Race of Destruction. 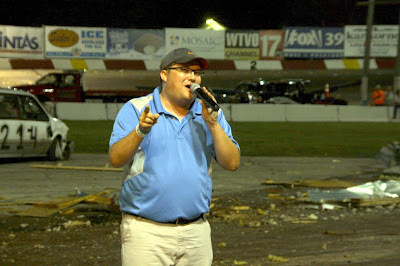 The voice of Rockford Speedway Eric "El Martillo" Huenefeld explain to the crowd as to what is taking place track side.